There has been some interest in voice chat, so we brought the TeamSpeak 3 server back up for people to use if they wish. 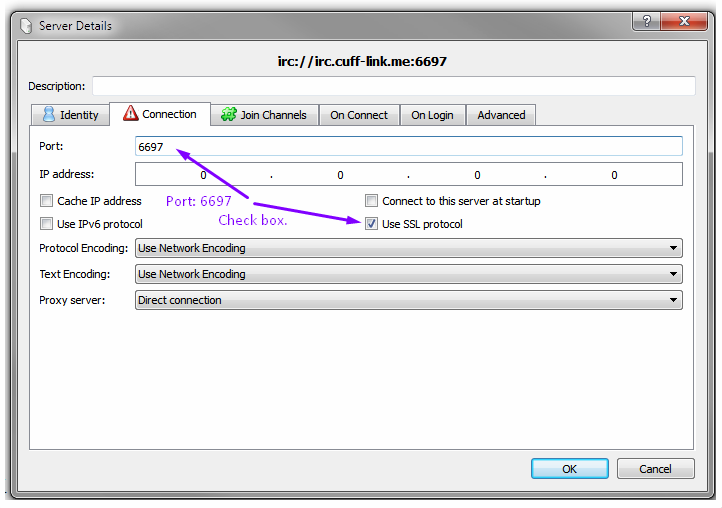 Please be aware that the same network rules that apply to the TeamSpeak server as the Cuff-Link IRC network. 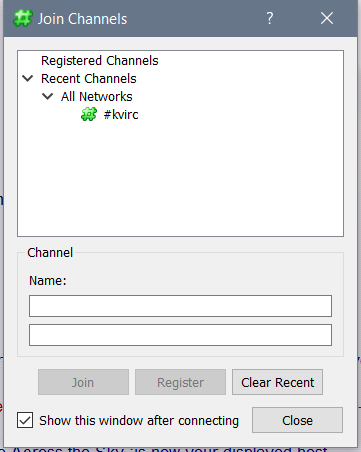 There is a lobby channel and a few others set up already. If you’re a channel owner who would like a mirror put onto the TS, please join #help and ask for Hatred or geannie. Anyone can create channels and lock them for private conversations, but these are temporary and will disappear once no one is using them. In order to connect, you’ll need the TeamSpeak3 client, which is available on almost every imaginable OS. People using various Linux clients may have a little more difficulty setting it up, due to sound card quirks, but generally, even that is pretty straight forward. 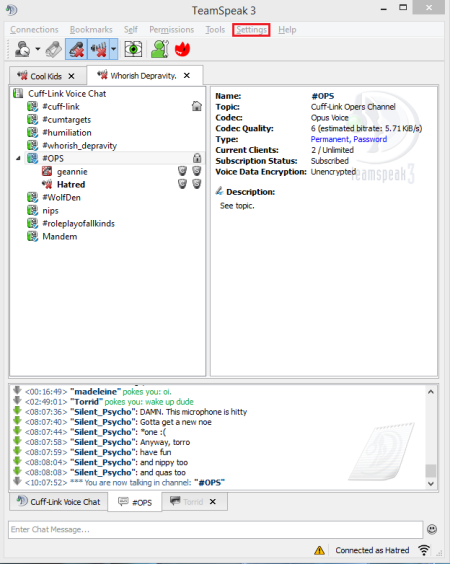 PC versions of TeamSpeak3 are free for Windows, Linux, and OSX. The mobile clients for Android and iTunes (links available from the TeamSpeak downloads page to both stores) are paid versions. The Android version is $1.99, and the iOS version is $4.99. Just click through to the TeamSpeak Downloads page to get started. 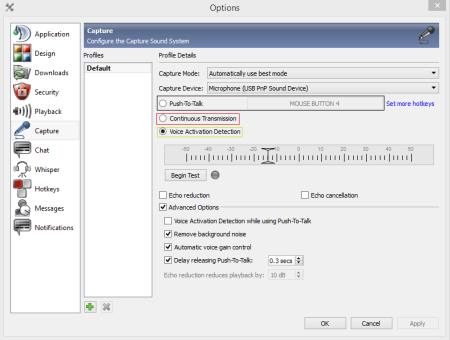 We recommend using either push-to-talk or voice activation for speaking. If you use the setting that just simply gives you an open mic all the time, it can create a lot of unnecessary feedback, potentially embarrassing moments, and various other issues for other people talking. It is also best to use a proper headset, if you have one, on a laptop, tablet, or phone.